IBM reported a 12 per cent drop in revenue for the last quarter despite a big boost from its new z13 mainframe, which went on sale last month. Revenue for the quarter ended March 31 was $US19.6 billion, with profit down 5 per cent to $US2.4 billion, IBM announced Monday. Two-thirds of the company's business comes from overseas, and the strong US dollar weighed on its results. Without the currency impact, and adjusting for businesses that IBM recently sold off, revenue would have been flat from a year ago, CFO Martin Schroeter said on IBM's earnings call. Like its rival Hewlett-Packard, IBM has been watching its business shrink for several quarters as customers spend less on expensive hardware and IT services and devote more to cloud computing and mobile. HP is trying to address the problem by splitting itself into two companies, while IBM has been selling off divisions that produce little profit, like its x86 server division, and investing in areas where it hopes to find growth. On Monday, it said revenue from those "strategic imperatives," which include the Cloud, analytics and mobile, increased more than 20 percent from a year earlier. But it's not enough to offset declines elsewhere. Even allowing for the currency effects, sales fell 2 per cent in IBM's global services division, to $US12.2 billion, and 2 per cent in its software division, to $US5.2 billion. Its hardware unit got a lift from new products. 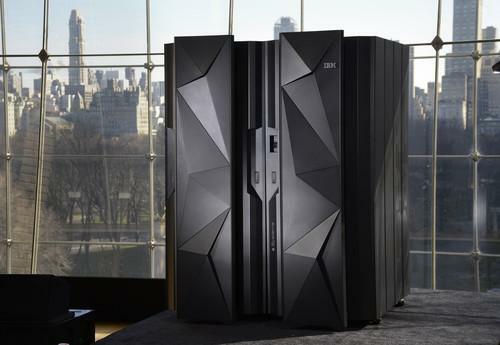 Revenue from mainframes more than doubled from a year earlier, and even IBM's Power servers division reported some growth, Schroeter said. The company will finish rolling out its new Power 8 chip across all servers this quarter, he said. Still, revenue from IBM's hardware division was down 23 per cent from last year, to $US1.7 billion. IBM is investing heavily to catch up in other areas, including spending $US3 billion to create a new Internet of Things division. It's also betting on new analytics services that use its powerful Watson supercomputer, and mobile services developed with Apple.